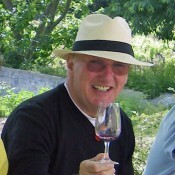 Adam Hewison from Maryland and his wife Sally were with our 19th Luberon Experience group in May 2010. It was an especially fun group, and part of the fun involved Adam interviewing group members on his camera phone. Later that summer Adam sent us a video he made of some of his interviews and invited us to share the video with others. Enjoy learning a little more about The Luberon Experience!